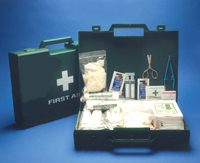 Kit comes in a plastic case with carrying handle. Contents suitable for usage in an area covered by 6-25 persons. Click on product to see contents details or see PRODUCTS STANDARDS section of web site. 5229 Socketed Floor Pad Gripper with all-round threaded swivel socket. 204 WATER-GEL DRESSING 20X20. 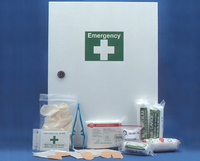 All Burnfree dressings are designed for first aid use on all types of burn injuries. The dressings are constructed of a special soft, open cell foam and are elastic enough to allow possible swelling or the need to flex joints. Burnfree dressings are non-adherent and the inert foam will not shed threads, strands or fibres that could get embedded in the wound. The pliable foam holds 50 times its weight in gel, meaning the gel will always stay in contact with the burn. MYTHOS THEMA SPRAYER 2LTR. Steel shaft & replaceable nozzle. A valve that keeps pressure, stainless steel springs & safety lever. 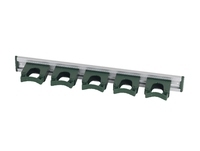 HD7 Aluminium Rail with Hangers. 515mm. 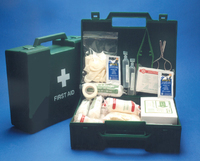 Kit comes in a plastic case with carrying handle. Contents suitable for usage in an area covered by 26-50 persons. Click on product to see contents details or see PRODUCTS STANDARDS section of web site. 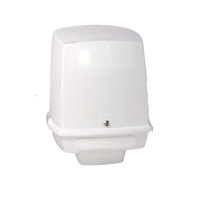 Wall mounting plastic dispenser designed for centre pull towels. ALH/CLIP1 Aluminium Handle & Kentucky Mop Holder (for 16KT Mop). ALH/CLIP1 Aluminium Handle & Kentucky Mop Holder (for 16KT Mop). Mop purchased separately. DP13 Open Plastic Dustpan, Ideal for removing debris, manufacturing. 290 RESUSCITATION Mouth-Piece. 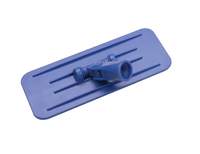 This mouth to mouth resuscitator allows hygienic contact with a patient whilst resuscitating them. Supplied with clear plastic mouthpiece. Anchor Plasters - Mixed .Box 100. Pain Relieving Gel - Burnfree gel is designed to be viscose enough to remain on the burn wound and not run off (like cheaper alternatives), whilst simultaneously drawing the heat out and up into the gel. PSH7MDX M/DETECTABLE 58CM SHOVEL SOFT GRIP. 23'' polypropylene hand shovel. Metal Detectable. Correctly calibrated equipment will detect the special plastic formulation. STOKOSEPT GEL is an alcohol-based hand sanitizing gel with a conditioning and moisturising complex for hand hygiene without water. It provides conditioning and moisturising properties, thanks to the incorporated ingredients Glycerine and Panthenol. STOKOSEPT GEL refreshes the hands without the need for water and leaves a pleasant soothing feeling on the skin. Kit comes in a metal cabinet with internal dividers and a wall bracketContents suitable for usage in an area covered by 26-50 persons. Click on product to see contents details or see PRODUCTS STANDARDS section of web site. 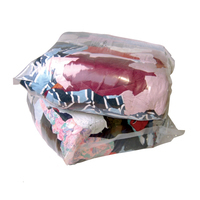 Mixed colour rag cloth wipes that comes in a plastic sealed 10kg bale. ALH7 Threaded Anodised Aluminium Handle with coloured hand grip. 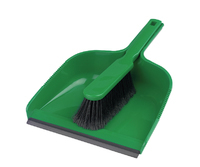 DP4SET Plastic Dustpan & Stiff Brush Set, Ideal for Medium-heavy size particles. Medium 500mm Flat Sweeping Broom - Blue. This product is ideal for cleaning stubborn debris in large areas. SCOOP4MDX METAL DECT HAND SCOOP RED 380MM. Metal Detectable 260mm Seamless Hand Scoop 1kg . This product is ideal for moving ingredients in food preparation areas. HILLBRUSH Professional Stainless Steel 180mm Niche Brush. Polypropylene block, filled stainless steel wire. This tooth brush sized brush is good for detailed work, tough burnt on deposits and cleaning machinery parts. This brush has a small chisel-edged tip. Rust proof. HDHOOK1 Hooks for HD11 Rails or RAIL500. Can be used individually. 55x70mm. Supplied in a large protective carrying case, this kit contains: 5 x CM 0620 Single Application Clean Up Pack, 2 x Single Application Sharps Disposal Kit, 1 x CM0625 Trigger Disinfectant Spray, 1 x CM0630 100gms Super Absorbent Powder. For use anywhere that you have a reasonable risk of having to deal with Body Fluid Spill and/or incidents where you may come across used syringes and needles. Stiff 317mm Hand Brush - Blue. This product is ideal for cleaning up heavy particles and stubborn debris. Recommended for use in production lines and food preparation areas. ST10 FLEXI SCRUB 176MM MED STIFF. 176mm white stock filled with 0.40mm polyester in a choice of BLUE or RED. Design is robust, withstands heavy use, resists corrosion, rotting, moisture absorption & associated bacterial contamination. Surfaces are smooth & easily cleaned. This brush may be boiled or autoclaved(heat tolerance A) & safely used with normal cleaning agents. 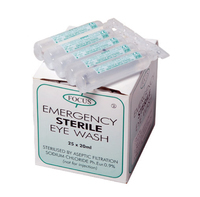 Suitable for use in hygenically sensitive areas. SANISAFE 3 SURFACE DISINFECT WIPES BLUE (1000). 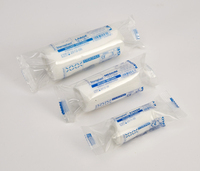 SaniSafe is a medium weight wipe that will eliminate cross contamination with a single stroke. SaniSafe® wet disinfectant wipes are effective against gram positive and gram negative bacteria, viruses and fungi including H1N1, salmonella, listeria, e-coli, Staphylococcus aureus, c-difficile, MRSA, candida albicans, aspergillus niger. SaniSafe® is tested and approved to European norms EN1276 bactericidal efficacy and EN1650 fungicidal activity and is ideal for disinfection of medium food preparation and work surfaces, scale pans, fridges, ovens and utensils. 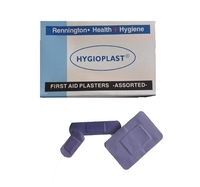 Blue detectable plasters designed for use in the food and catering industry, they are electromagnetic as well as visually detectable, assorted sizes that can be used to replenish first aid kits or used separately. 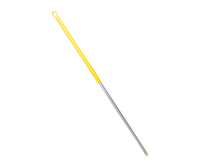 PLH3 One Piece Reinforced Polypropylene Handle is for use with hygiene brushwear and squeegees. B896 FLAT SWEEP BROOM ORANGE 457MM. This product ideal for cleaning up small particles. Recommended for dry manufacturing use. Resin-Set DRS® Dual Stiffness 210mm Double Wing Scrub. Resin-Set DRS® Dual Stiffness 210mm Double Wing Scrub. This product is ideal for cleaning up medium to large sized particles, cleaning around corners and conveyor belts. 3m Scotchbrite Hand Pad Scourers (Box of 60). Superior alternative to steel wool, wire brushes, sandpaper, and other non-woven products for cleaning or finishing tasks. Very fine grade aluminum oxide abrasive cleans, finishes, grains, denibs, and defuzzes. 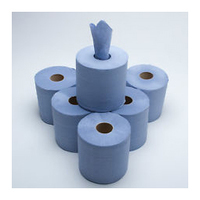 Pad resists tearing, splintering, shredding, loading and will never rust, providing a long, useful life. 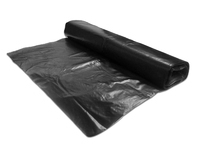 Can be folded, stacked, or rolled for effective cleaning or conditioning on flat, irregular, or contoured surfaces. TORK 530278: This strong and absorbent multipurpose cloth works with most solvents. It is designed to protect your hands from heat and metal scraps. The cloth provides a professional cleaning result thanks to the exelCLEAN effect. • exelCLEAN for higher cleaning effiency. •Multipurpose - handles most cleaning tasks. •Good oil and water absorption. •Strong enough for thorough scrubbing. •Food contact approved. 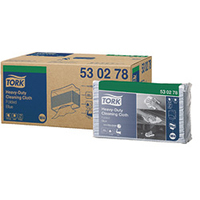 Tork Easy Handling; packaging easy to carry, to open, to flatten and to carry away. B1082 Soft Narrow Sweeping Broom with crimped fill. Ideal for small particles, small areas. 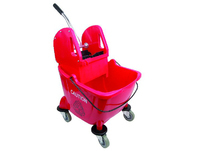 The BISON Mop Bucket & Wringer 24L is a rugged system designed to cope with professional cleaning processes. Wide opening for easy mop rinsing. Stable base with castors. Capacity 24 litres. 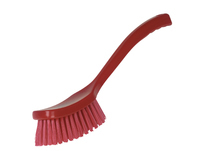 Resin-Set DRS® Stiff 457mm Flat Sweeping Broom - RED. This ideal for cleaning stubborn particles and heavy duty work in small areas. 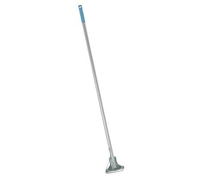 Rubbermaid Kentuckey Mop - BLUE; 4-ply, cotton/synthetic antimicrobial compound mop which withstands repeated laundering. 122mm nail brush, Polypropylene block, filled stiff Polyester. A resin set version is available. 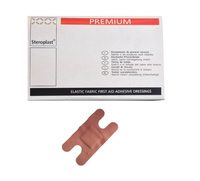 Blue detectable plasters designed for use in the food and catering industry, they are electromagnetic as well as visually detectable. B1760 Soft Flat Sweeping Broom with crimped fill. Ideal for small particles, large areas. 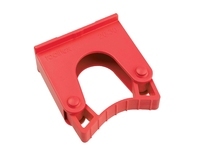 HOLD1 Medium Hanger to fit RAIL500, Accepts 20-30mm, can be used individually. DP1 Red DUSTPAN. 8" wide plasic dustpan. This product is ideal for cleaning small areas. Recommended for use in households.